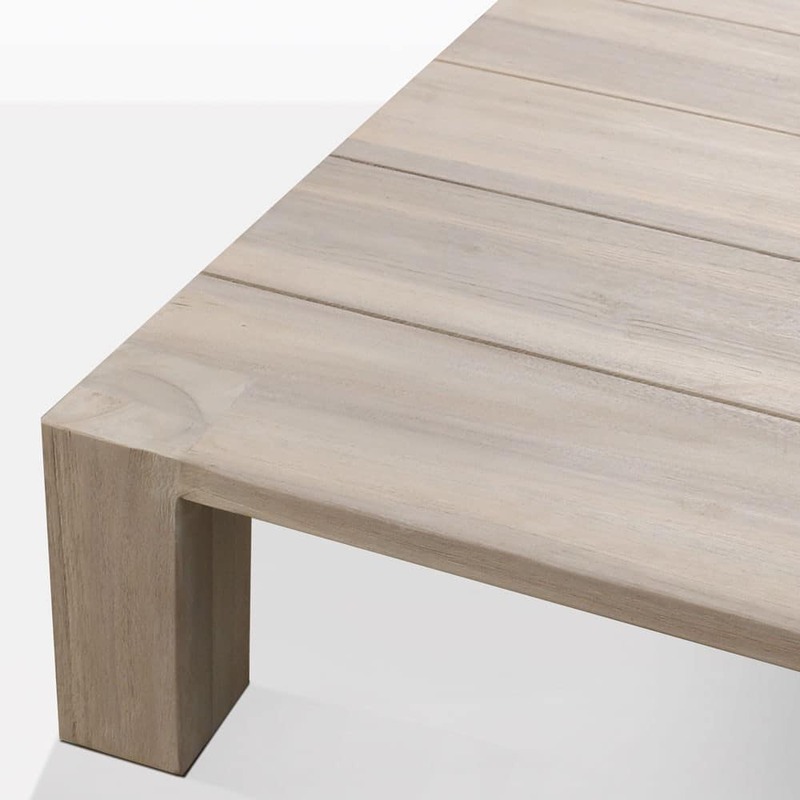 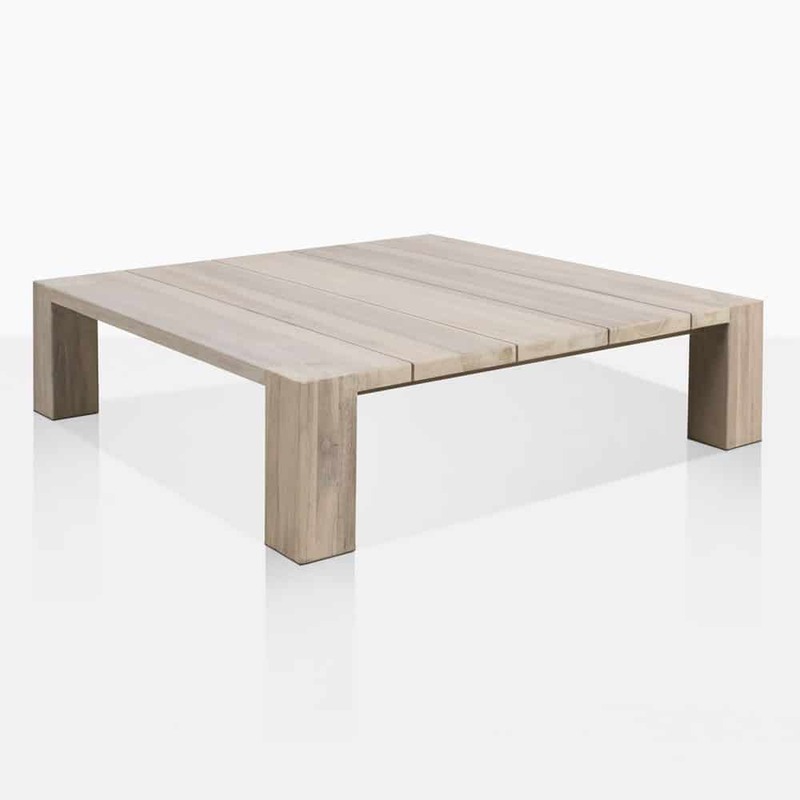 Sometimes all you need is a simple coffee table that is beautiful because it has a quiet and understated design, and the Kent Street Low Coffee Table is definitely that. It’s low, square, and sturdy with thick legs. The teak has had a special wash applied that has softened the color, and the teak will continue to grey in the sun. 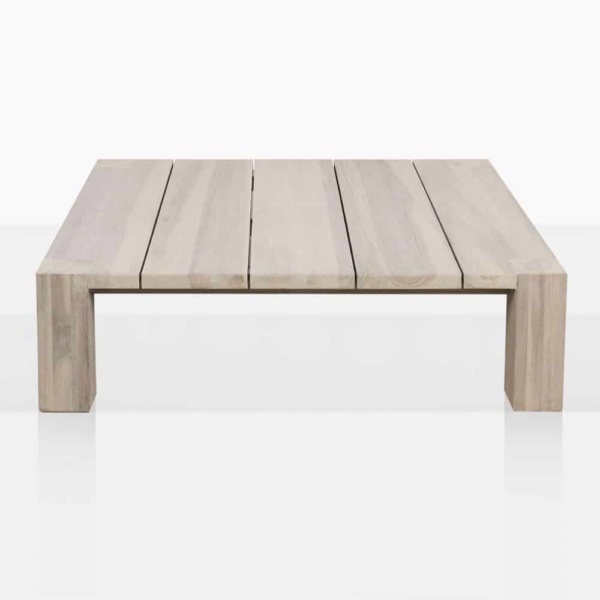 Use it as a stand-alone coffee table or pair 3 together in a line for a long rectangular coffee table in front of your grand sofa.